Are you passionate about supporting shooting sports in Jackson Hole and beyond? Please donate through Old Bill’s Fun Run to have your donation matched! Thanks to donors at all levels that have donated money and/or time to the JHSSF, the JH Gun Club or have otherwise worked to promote the shared goals of the JHSSF! The Jackson Hole Shooting Sports Foundation requests your brain and brawn. Would you like to organize a shooting competition? Would you like to volunteer around the range? Would you like to volunteer as a Range Safety Officer? Click on the link to to the left to Donate! The Jackson Hole Shooting Sports Foundation requests your continued financial support. Your donations have already made our local shooting range, the Jackson Hole Gun Club, one of the best in the country. In the past year we have partnered with other shooting organizations to bring you various classes. We look forward to supporting increased class offerings and can only do so with you support. 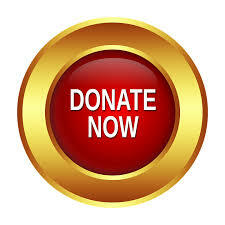 Please see our PROJECTS page for a sampling of what your donations have accomplished thus far.